Photo: Loading up a bus at Pyay. What would you like to know about getting to, from and around Burma (Myanmar)? While large scale tourism to Burma is still relatively new when compared to her neighbours, it is getting easier and easier to get into and out of the country. It currently has three international airports and a growing number of international crossings with Thailand, one with Laos and one with India. You’ll need a passport with a validity of at least six months beyond your entry date to enter Burma. The vast majority of tourists enter Burma on a tourist visa. This visa can be organised online, through a travel agent, or via a Burmese embassy or consulate. The typical visa is valid for 30 days. Visa extensions are possible. 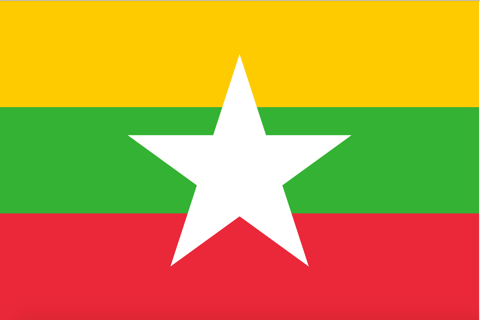 For more information, see our Burma visa page. Burma has three international airports, Yangon International Airport (RGN) in Yangon, Mandalay International Airport (MDL) in Mandalay and Naypyidaw International Airport (NYT) in Naypyidaw. Domestic airports of interest to travellers in the country include Bagan (NYU), Heho/Inle Lake (HEH), Kengtung (KET), Lashio (LSH), Sittwe (AKY) and Tachileik (THL). Burma is a large country with a bad road infrastructure, so though we generally prefer to stick to road, river or rail while travelling, a domestic flight in Burma (Myanmar) may on occasions be a necessary, or at least convenient — unless you have unlimited time and superior posterior suspension. Flights within Burma can be a bit confusing — even downright frustrating — so here’s a brief rundown on how it works. As of mid 2016 there were at least ten airlines operating in Burma, and while we’re not sure how long some of these will last, they’re certainly not all fly-by-night operations and generally speaking the ones we have used have all been fine — and also quite affordable, though prices are going up as tourism booms here. Myanmar Airways International is the country’s flagship carrier, while Golden Myanmar currently run international flights to Singapore and Bangkok. They also have useful shuttle bus services from Yangon to the airport. Air Bagan has a somewhat dubious reputation as it’s owned by a Burmese general, but it’s one of the most established local carriers and operates to 19 regional destinations, as well as several Asian ones, and has a large, generally modern fleet. Air Mandalay has new planes too, though without the international or military connections. Asian Wings is another company you’ll come across frequently; it has decent new planes, covers all the popular destinations and sold a stake to Japan’s ANA, which should improve services and maintenance. KBZ operates new ATRs. We haven’t tried Yangon Airways yet, but they do fly to some out of the way spots, such as Myitkyina and Putao. Problems with aviation in Burma don’t lie with safety, service or even punctuality. We’ve always found that if a plane is scheduled for 16:00, it does leave pretty close to that time — if it leaves at all, we mean. At busy destinations they’ll simply regroup passengers from different flights onto one flight, so Air Bagan, Asian Wings and Air Mandalay for example will use just one plane — so even if you book with Bagan you may go on a KMZ flight. Alternatively, if there are not enough passengers on a Yangon - Mandalay flight, for example, they will combine it with a Yangon - Bagan flight, so you will suddenly find yourself stopping at Bagan too. Booking a Heho (Lake Inle) to Yangon direct flight with Asian Wings may actually see you travel via Mandalay, Bagan and Nyapidaw on an Air Bagan plane. This is all decided at the last minute — sometimes literally. Smaller airports without multiple arrivals on a given day may simply see a flight cancelled due to lack of interest. This is a problem at smaller airports such as Kawthaung, Tachilek, Kengtung and Putao. Also, provincial airports do not always have top-notch radar systems, so weather can cause cancellations. Be warned that this is a problem with higher altitude airports such as Shan Plateau ones, including Heho, especially during heavy fog in winter months or low cloud during rainy season. You therefore need to be very careful when booking connecting flights. Basically, with the exception of Mandalay, do not book domestic flights with an international connection in Yangon. It is much safer to allow 24 hours between connections and add on a night in Yangon. Finally, a few words on flight practicalities. Check in is old school, with paper tickets only. If you lose the ticket, they won’t start checking through computer records — you will have to pay for a new one. Continuing the retro theme, flights should be reconfirmed 24 hours in advance. Pay close attention to boarding, since as we mentioned above you may well be getting on an Air Mandalay plane with your Air Bagan ticket. Seating is not allocated. Arrival and departure procedures vary from airport to airport, with some requiring passports at check-in and others not. Some have X-ray scanners, others don’t. Luggage allowance is usually 20 kilograms. So be prepared for anything — and bon voyage!